Every house should have its very own little elf running around. They can help cook and clean, and keep an eye on things when you're away. And if any dark wizards try sneaking around the area, having an elf there to hit them with a magic blast to scare them off would really come in handy! 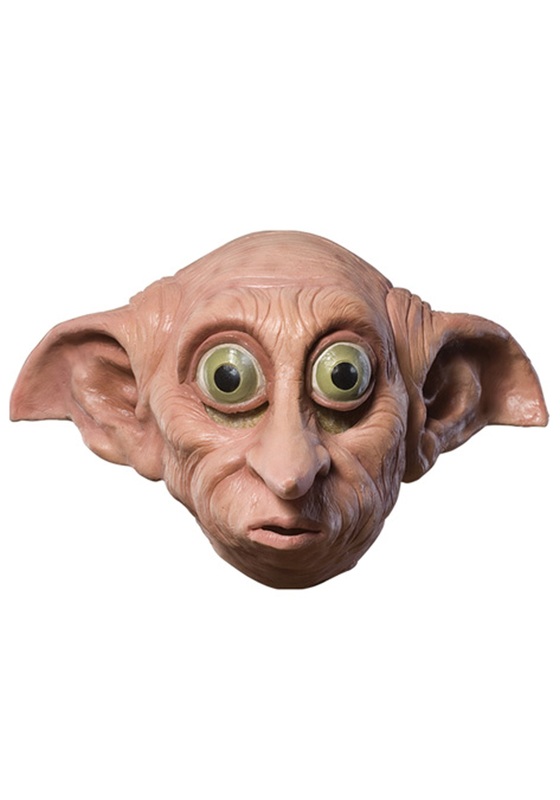 It's too bad us muggles can't find house elves as easily as wizards do, but you can get this Dobby Mask for your little Harry Potter fan, and they can be your own adorable little house elf! This licensed molded vinyl mask is highly detailed to look like the character does in the hit movies, and features Dobby's wide eyed expression, droopy ears, and wrinkled face. Your kid will have a blast pretending to be a mischievous elf and playing Harry Potter games with their friends, and you can add the matching Dobby Hands accessories and cut some holes in an old pillow case for them to wear to complete their Dobby look!